Main house features king sized bedroom, open plan kitchen/dining/living room and large shower/bathroom. 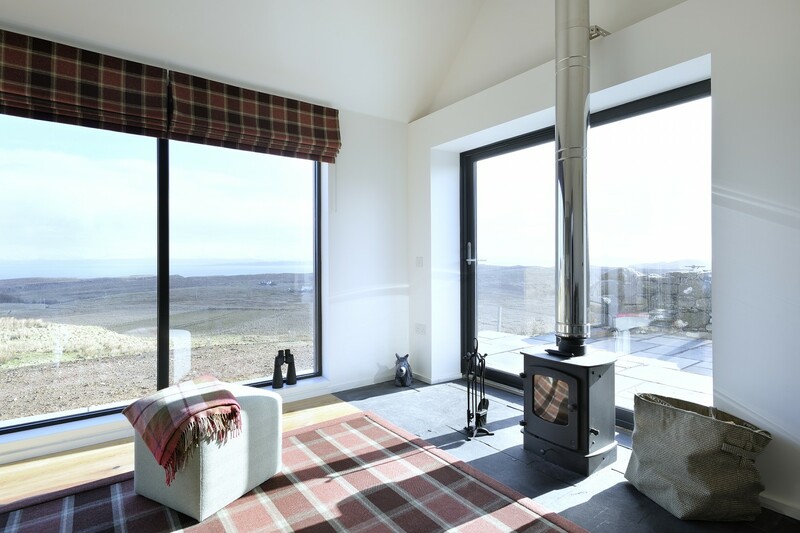 Bothy features king sized bedroom with deluxe en suite bathroom. 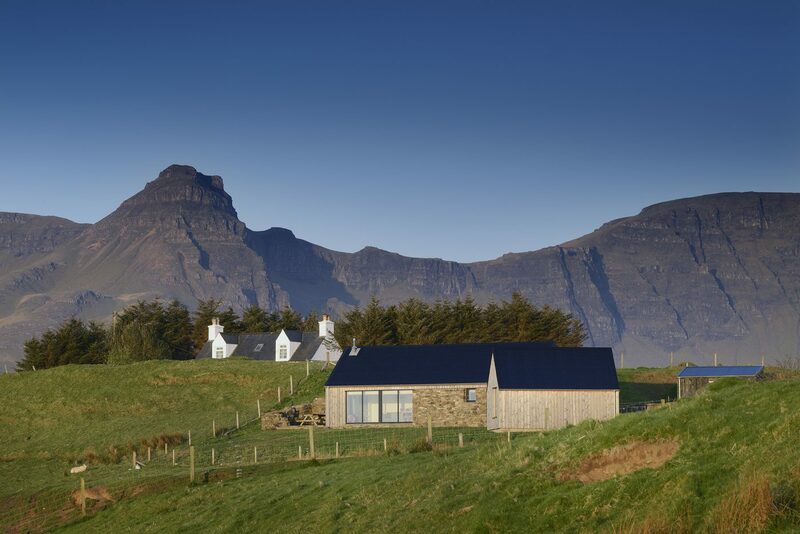 The Eyrie was designed by the award winning R.House team. 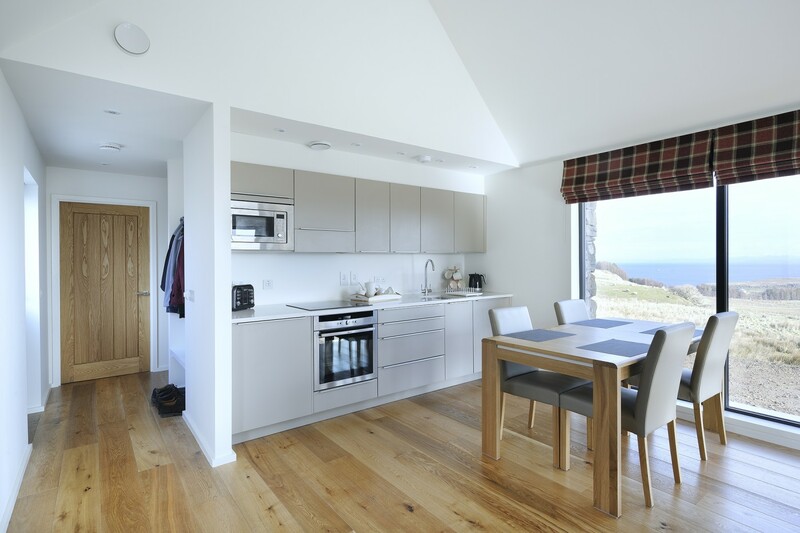 A stunning self-catering holiday cottage that boasts two king sized bedrooms. The first of which is in the main house with an open plan kitchen/dining and living area and generously sized bathroom with shower and large bath. The spacious living area is centred around a wood burning stove with comfy couches perfectly placed to enjoy the views and sliding patio doors allowing access to a paved deck with seating area to enjoy your morning coffee or evening meal during the summer months. The second bedroom is housed in its own stand-alone pod – providing privacy and peace for sharing couples. Each spacious bedroom comes a deluxe en suite – with a generous walk in shower… and of course spectacular views to be enjoyed from your bed. 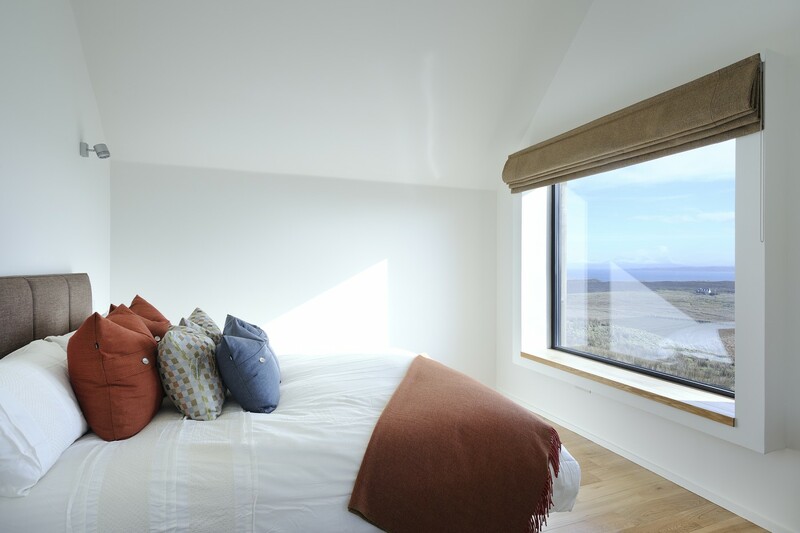 To book your stay at The Eyrie, have a look at our availability page.